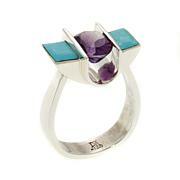 Bring a touch of chic, summertime color to favorite outfits with this bold gemstone ring from Jay King. 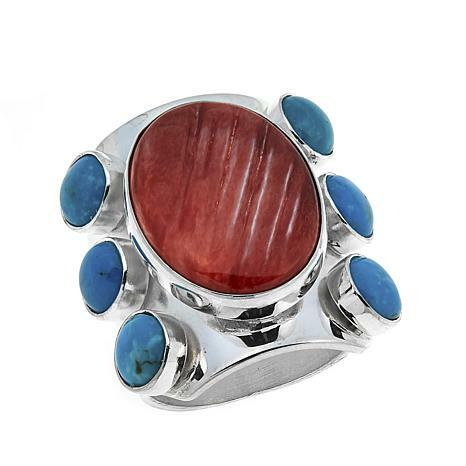 Red spiny oyster shell from Mexico pairs with beautiful blue Chilean turquoise to create a fun jewelry accessory that's sure to make you stand out from the crowd! 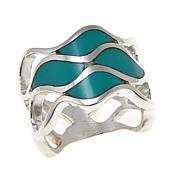 This is definitely a statement ring. It is even more impressive when you receive it than how it looks on tv. I recommend going up one size because of the wide band on the ring. It matches my red spiny oyster shell necklace and earrings. I love the design and it is extremely well made. 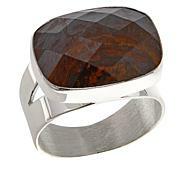 I ran into a friend who is a jeweler and she noticed the ring ASAP. Asked if the middle stone was rhodochrosite, I said no spiny oyster. She loved the ring! Even better in person, bolder, and bigger. 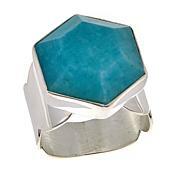 Fabulous statement ring. Looks amazing with my big spiny oyster statement necklace. A real treat of a surprise when it came. Thank you, love it!! !